As a fledgling writer I find myself often challenged to present a fresh perspective on very familiar Biblical accounts. At no time is this challenge greater than at Easter. After all, the story of Easter is the bedrock of our faith. The account of the events surrounding the death, burial, and resurrection of Christ comprise a significant portion of each of the four Gospels. Even after the story had been told by Matthew, Mark, and Luke, John still devoted almost 40% of his gospel to those crucial eight days. It is just that important. Churches all over the world will be filled to capacity tomorrow with worshipers who will hear that familiar message, “He is risen!”. 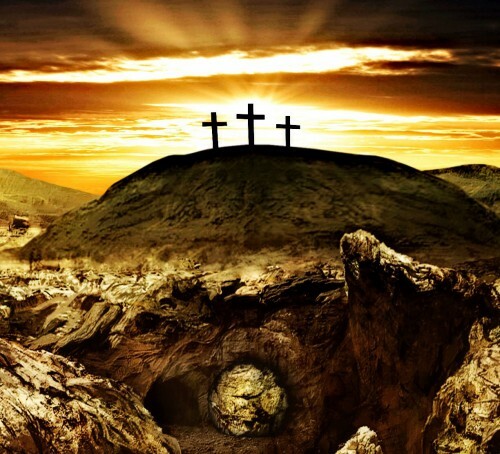 Recalling the traditions ingrained in us from childhood, many of us will be arrayed in our finest Sunday clothes, joining countless others in singing those Easter classics, “The Old Rugged Cross”, “Up From The Grave He Arose” “When I Survey The Wondrous Cross”, and “Because He Lives”. We will be reminded by the Scriptures that our Lord gave up the glory of Heaven to make His dwelling among us, only to be rejected by so many whom He came to save. We will recall the agony He experienced at Gethsemane, the excruciating pain of scourging, the humiliation of being mocked at, spit upon, and having His beard plucked out. We will cringe as we imagine the spikes being driven into his hands and feet. And we will mourn as we consider what His death by crucifixion entailed. When I reflect on all that, knowing that He possessed the power to prevent it, it is almost more than I can fathom that he chose to endure it out of His love for us. But then our hearts will rejoice once again that the grave could not hold Him. Pilate told the guards, “Go make the tomb as secure as you know how.” (Matt. 27:65) How God must have laughed at that comment, thinking “Good luck with that!”. As we celebrate Easter, it is appropriate to remember those events. Certainly it is fitting to reflect on their implications for our lives as followers of Christ. We can rejoice as we sing to the world that we serve a risen Savior. But while doing so, we should also consider that Easter demands a response from us beyond basking in the glory of the miracle that occurred that fateful Sunday long ago. With those words, our Lord clearly articulated the appropriate response to the message of Easter. And yet, surveys continue to reveal that love is seldom the first thing that comes to mind when those outside the faith think of Christians. How that must grieve the heart of God. And it should grieve us as well. Happy Easter to you all. He is risen, indeed!